Laura Ling, the American journalist detained in North Korea in 2009, and her sister, Lisa Ling, join Anderson Cooper on Monday for an exclusive look at the North Korean regime. Tune in to “AC360º” at 8 p.m. ET. 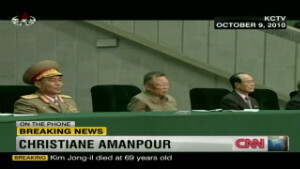 (CNN) — The leadership of North Korea appeared to pass to a third generation of the Kim family Monday after the weekend death of Kim Jong Il, who ruled the reclusive Stalinist state since 1994. 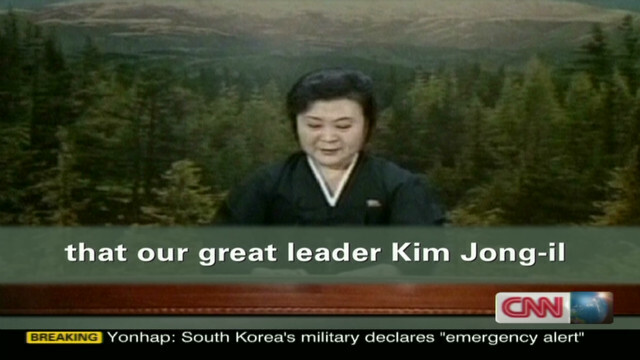 The man known as the “dear leader” died of a heart attack Saturday at age 69, state news outlets announced Monday. The ruling Worker’s Party declared the youngest of his three sons, Kim Jong Un, the “great successor” to his father’s mantle. 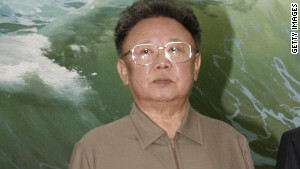 Kim Jong Il had led North Korea since his father — the nation’s founder, Kim Il Sung — died at age 82. During his 17 years in power, the country suffered a devastating famine even as it built up its million-strong army, expanded its arsenal of ballistic missiles and became the world’s eighth declared nuclear power. News of his death spurred South Korea, which remains technically at war with the North more than five decades after their 1950-53 conflict, to put its military on high alert. But across one of the world’s most heavily fortified borders, South Korean President Lee Myung-bak told his citizens “to go about their lives” in the meantime. “For the sake of the future of the Republic of Korea, peace and stability on the Korean Peninsula is more important than anything else. It should not be threatened by what has happened,” he said. “I don’t think that North Korea can afford some provocation at this point, but we must make sure that everything is OK,” he said. North Korea tested nuclear weapons in 2006 and 2009. Monday, it fired a short-range missile over the East Sea — but Gen. Martin Dempsey, the chairman of the Joint Chiefs of Staff, told CNN that U.S. officials have seen no sign of any movement of North Korean forces across the Demilitarized Zone that separates the North and South. North Korean officers had reported plans for its missile test to the commission that monitors the 1953 armistice, Dempsey said during a trip to Germany. He said no heightened alert has been issued for the nearly 30,000 American troops in South Korea, which has a mutual-defense pact with the United States. In Washington, the White House said it was monitoring developments and hoped to see the North “take steps to assure the peace and prosperity of its people,” as White House spokesman Jay Carney put it. And after a meeting with Japan’s Foreign Minister Koichiro Gemba, U.S. Secretary of State Hillary Clinton told reporters that Washington has been in “close touch” with the other countries involved in the six-party North Korean nuclear talks, including Russia and China. “We reiterate our hope for improved relations with the people of North Korea, and remain deeply concerned about their well being,” she said. Can the son of the ‘Dear Leader’ lead? What is North Korea’s future? 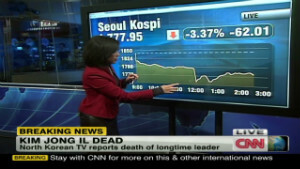 On North Korea’s state television network, a tearful anchor broke the news Monday morning. 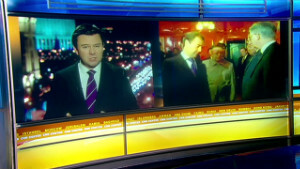 The news was followed by scenes of similarly emotional residents of the capital Pyongyang. 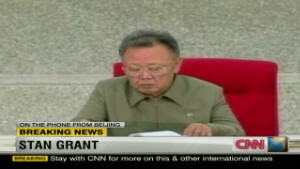 The network said Kim died of “overwork” while “dedicating his life to the people.” And the official news agency KCNA said Kim suffered “great mental and physical strain” while on a train. There was no independent confirmation of the circumstances reported by the government, which routinely touted the military, technological and artistic genius of the “dear leader” — even claiming he shot 11 holes in one in his first golf outing. But he had appeared frail in his last public appearances, and speculation about his health had persisted for some time. KCNA acknowledged that Kim had been treated for “cardiac and cerebrovascular diseases for a long period.” He suffered a heart attack on Saturday and couldn’t be saved despite the use of “every possible first-aid measure,” according to the agency. In Washington, the White House said President Barack Obama spoke with Lee on Monday morning. The two leaders agreed to stay in “close touch as the situation develops,” it said. Several of North Korea’s neighbors, including Japan, the Philippines and leading ally China, offered condolences to the North Korean people on Kim’s death. The United States had not issued any such statement Monday morning — and Christopher Hill, a former U.S. diplomat who led U.S. delegation in nuclear talks with North Korea, said any American statement would require a certain finesse. 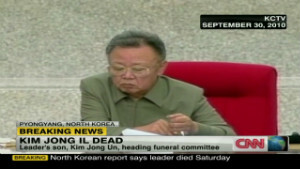 The deceased leader’s body will remain for a week at the Kumsusan Memorial Palace in Pyongyang, where his father is also interred. Memorial services will follow on December 28 and 29. Bill Richardson, a former U.S. ambassador to the United Nations who has visited North Korea eight times, said his initial reaction to Kim’s death was “extreme concern.” He said he is more concerned about stability in the region now than before Kim’s death. 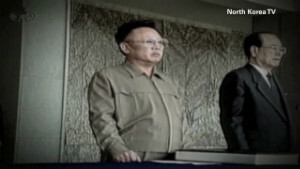 During Kim’s tenure, the North was largely closed off to outside influences and fearful of threats from its neighbors. At the same time, it also sought international aid after extensive famines contributed to the deaths of at least 250,000 people, according to the North Korean government. Outside analysts suggested the toll could have been 10 times higher. Both North Korea and South Korea have shown signs of concession in recent years. But relations between the two rival nations soured yet again when the South accused the North of launching an attack on the South Korean island of Yeonpyeong, killing two South Korean marines and two civilians. And South Korea says a North Korean torpedo attack was to blame for the 2010 sinking of the South Korean warship Cheonan, which left 46 Southern sailors dead. The North has denied the accusation. Now the question is what path his untested son, believed to be either 27 or 28, will take the country. He was educated in Switzerland as a boy, and named a four-star general in 2010. “We really don’t know substantively where he stands on anything,” said Mike Chinoy, a senior fellow at the U.S.-China Institute. After the Cheonan incident, then-U.S. Defense Secretary Robert Gates said he feared the younger Kim may have needed to “earn his stripes” with Pyongyang’s military establishment by launching further provocations. And Hill said while the “great successor” is “definitely not ready for prime time,” he is unlikely to take major steps before consolidating his power.